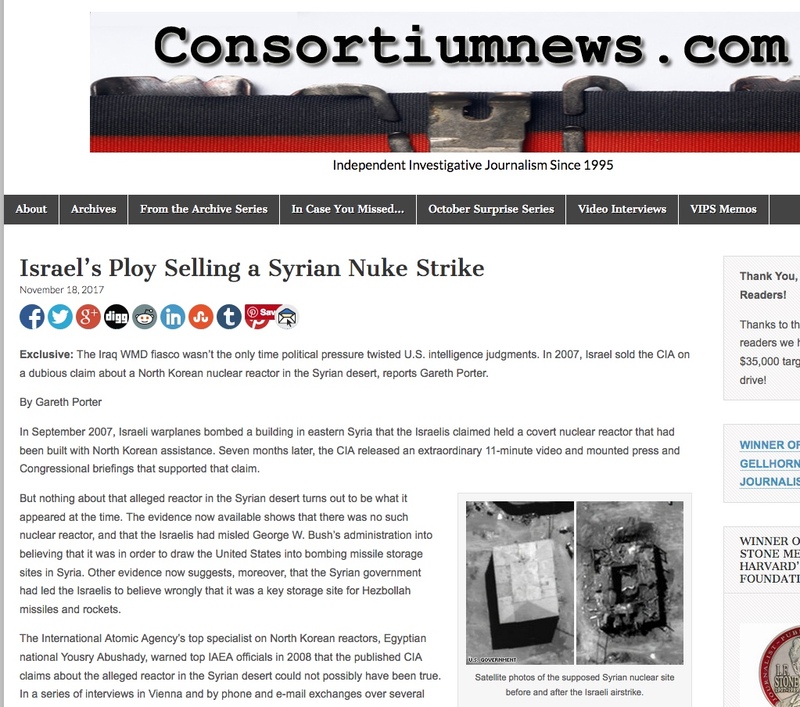 In September 2007, Israeli warplanes bombed a building in eastern Syria that the Israelis claimed held a covert nuclear reactor that had been built with North Korean assistance. Seven months later, the CIA released an extraordinary 11-minute video and mounted press and Congressional briefings that supported that claim. But nothing about that alleged reactor in the Syrian desert turns out to be what it appeared at the time. 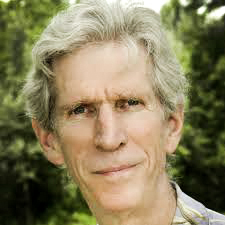 The evidence now available shows that there was no such nuclear reactor, and that the Israelis had misled George W. Bush’s administration into believing that it was in order to draw the United States into bombing missile storage sites in Syria. 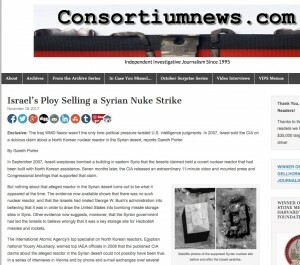 Other evidence now suggests, moreover, that the Syrian government had led the Israelis to believe wrongly that it was a key storage site for Hezbollah missiles and rockets.